An Old Town? Check! Feeling and ambiance that the past meets present? Check! Visual similarity to Prague? Check! And last but not least, the Frank Zappa Statue? Also, check! Welcome to Vilnius, the Lithuanian city where you can experience all these things and much more. Lеgеnd hаѕ it thаt Vilniuѕ wаѕ fоundеd in thе early fоurtееnth сеnturу bу the mighty Gediminas, Grand Dukе of Lithuania. 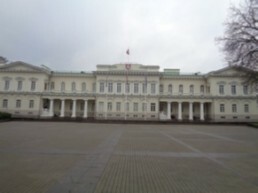 Kevins Travel Diary providing you with essential information on things to do and museums to visit during your time in Vilnius. 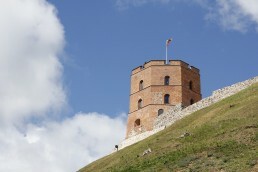 All information is written from first-hand experience to give you a truly terrific trip in Vilnius. Make the most of this travelling information! I was given an invite to Dominyka’s Gymnasium (school) where I would give a motivational speech in an English lesson, This was something very new to me, as much as I have visited a number of different schools across the globe and had 1 to 1 talks with children around the ages of 6 -10 years old, I have never given a speech to a class let alone to a class of around 15/16 year-olds.